I am so excited to pass on this report from Uganda I just received today. 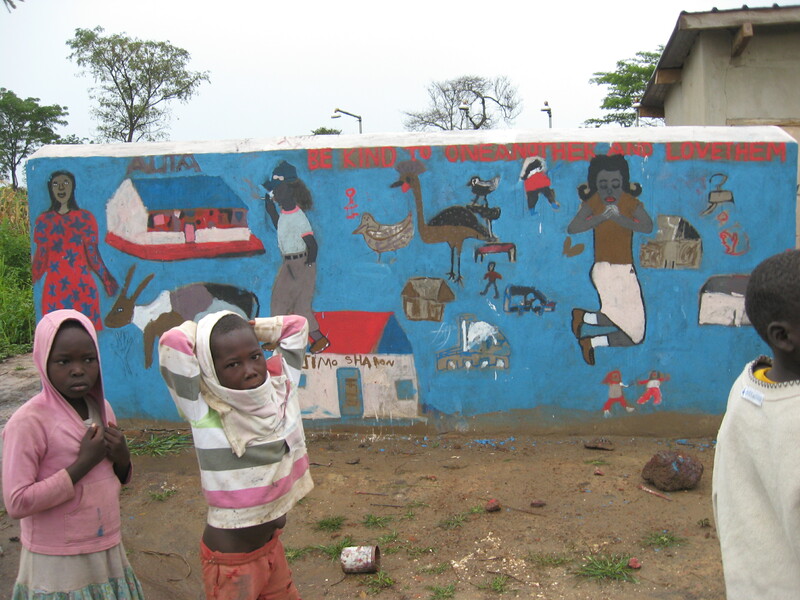 Moses Echibu, one of the field staff at Asayo’s Wish Orphanage just sent me this email that includes photographs of a new mural on the girls curtain latrine at the orphanage. As an “art student”, Moses has continued to work with the children, allowing them opportunities to be expressive and creative with paint. (The paint was left from the first mural undertaken at the Orphanage in September when Megan and I were there last. ) Thanks Moses!